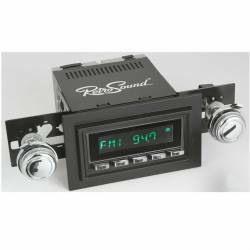 RetroSound produces audio components that integrate Modern-day audio technologies into your Classic Mustang! 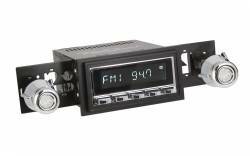 They produce industry leading audio components from Radios, Speakers, Antennas, Amplifiers and even battery Chargers that will help your Classic Mustang not only sound good, but look good as well! 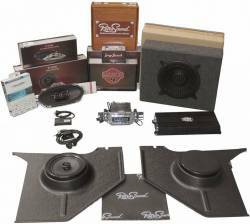 The RetroSound line of audio equipment was designed with the Classic Mustang owner in mind. 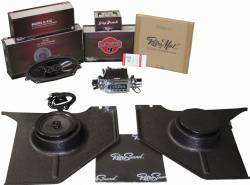 Their feature-rich audio components are designed to be easy to install into your Classic Mustang interior without modifications or major changes. The radio/head units easily install into the stock opening in your Mustang's dash. 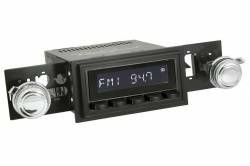 The RetroSound main head units have integrated modern technologies such as: Built-In Bluetooth connectivity, IPhone/IPod connectivity, Auxiliary ports for IPhone/IPod or USB Drives, AM/FM RDS tuner with 30 Pre-sets, On-board High powered amplifiers, 32,000 Color displays and more! It's Simple, RetroSound products offer Modern Sound for Your Classic Mustang — contemporary features and conveniences, but with classic Mustang styling!